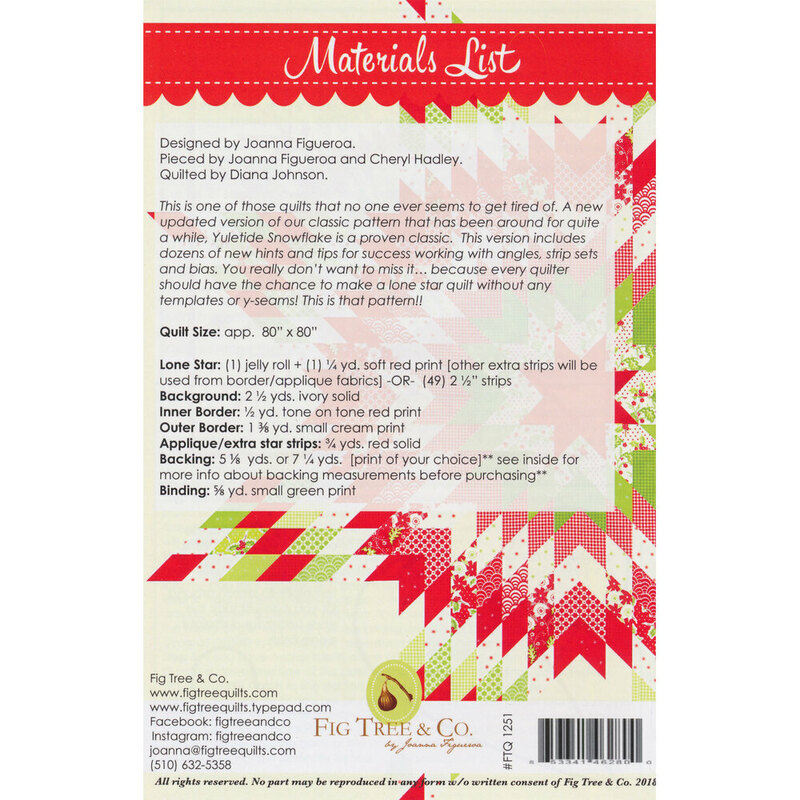 Create a stunning lone star quilt without having to use templates or y-seams! 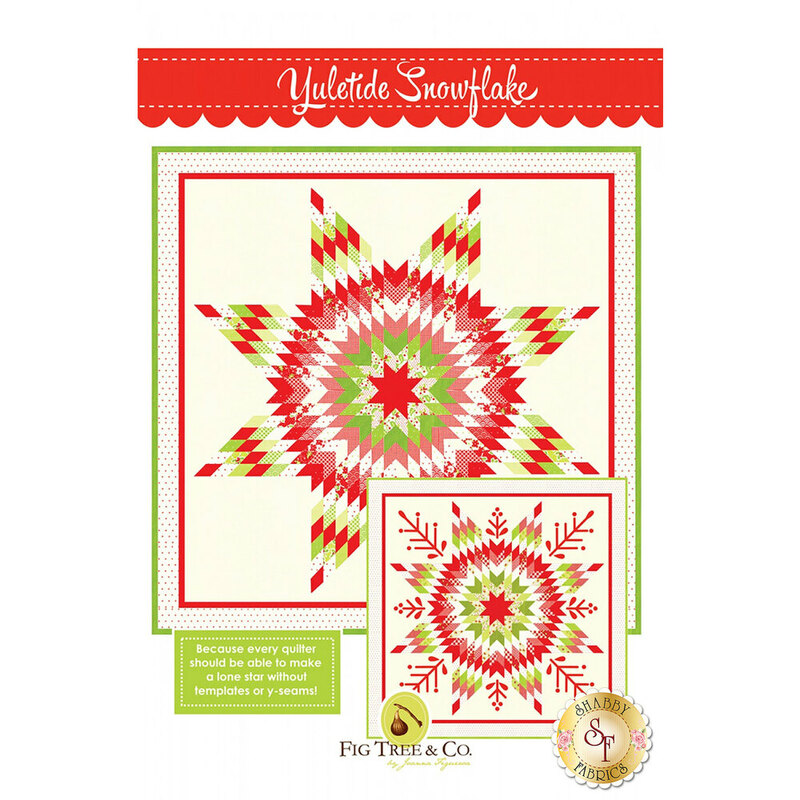 Yuletide Snowflake by Fig Tree & Co. includes dozens of new hints and tips for working with angles, strip sets, and bias. This masterpiece measures approximately 80" x 80" when finished.